Available in Red, Powder Blue, or Dark Blue. Also, choice of 3 different pad styles. 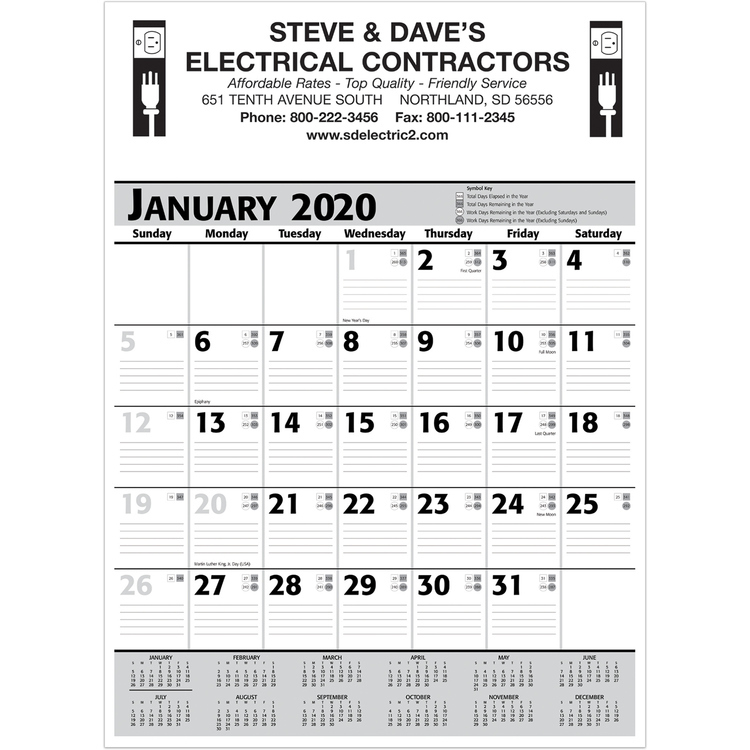 Contractor's Bid calendar without the daily memo panel. The calendars show the number of days left in the year, the number of working days left excluding Sundays, and the number of working days left excluding Saturdays and Sundays. 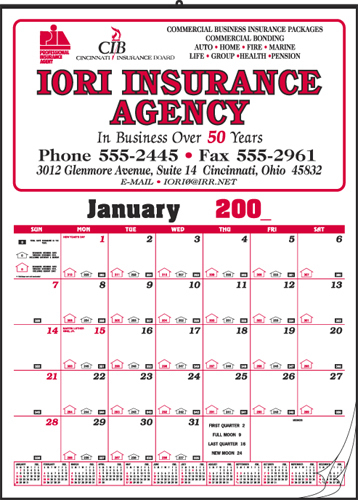 Calendar will fold to file-folder size for reference. Each month lists the moon phases and has a note area to be used for appointments, ordering material, etc. 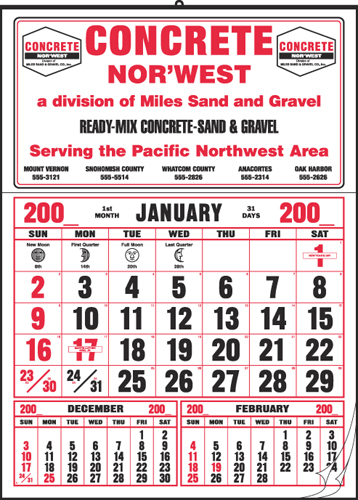 12 Months of the present year are displayed at the bottom of each month. The 83-E is an exact twin of the 82-E except that the copy in each panel space "Job, Address, Date Bid and Place" is eliminated leaving only the date and legend. This opens up the 83-E to many new prospects outside the construction industry. 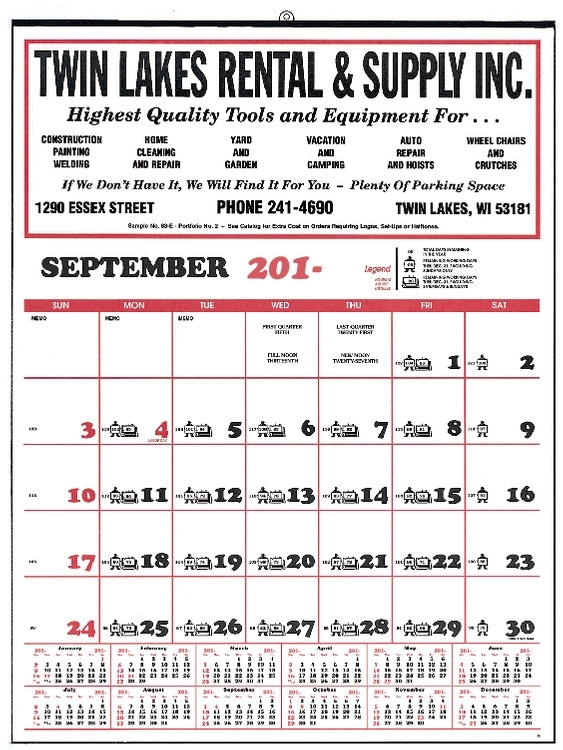 A large sized Half-Apron calendar, the style 90 is offered in red and black with a choice of 4 different red and black pad styles. 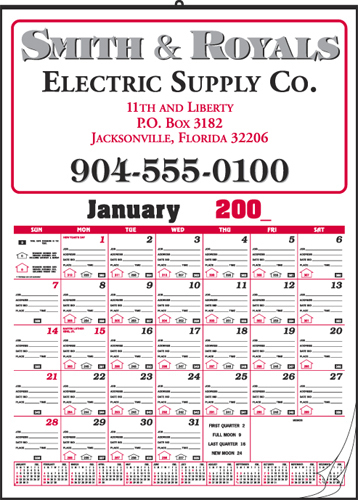 The style 90 has an eye catching double border that will focus attention on your ad. 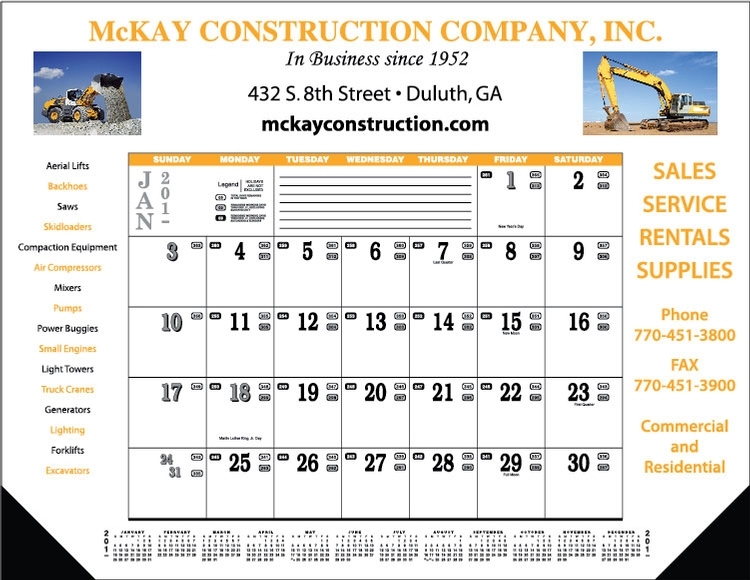 Contractor's Bid calendar with daily memo panel. The memo panel lists the job, address, date bid, place and time. The calendars show the number of days left in the year, the number of working days left excluding Sundays, and the number of working days left excluding Saturdays and Sundays. 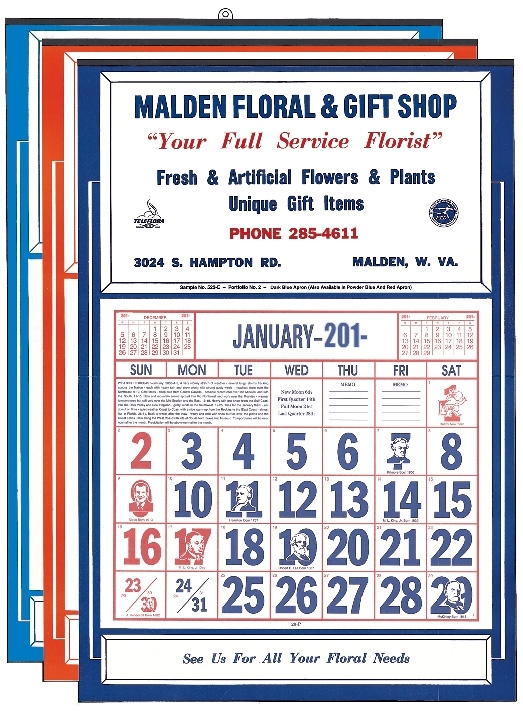 Calendar will fold to file-folder size for reference. Each month lists the moon phases and has a note area to be used for appointments, ordering material, etc. 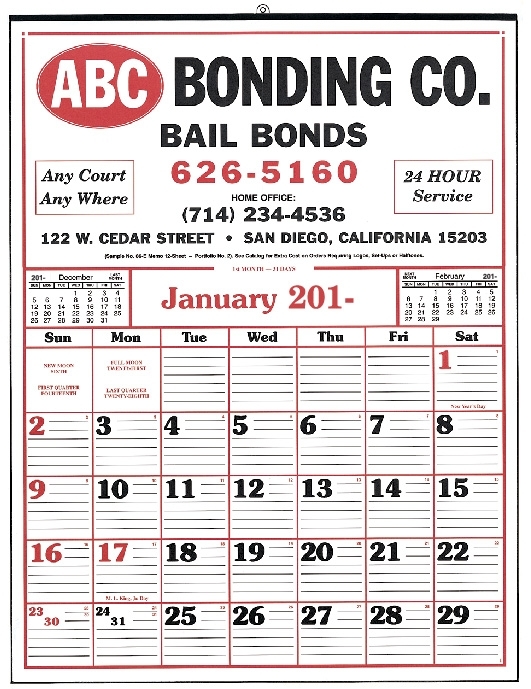 12 Months of the present year are displayed at the bottom of each month.